New Richmond, QC – Antoine L'Estage (St-Jean-sur-Richelieu, QC) and Alan Ockwell (Toronto) of Subaru Canada Rally Team overcame technical problems and tough competition to claim victory at the 2015 Rallye Baie-des-Chaleurs, the second round of the Canadian Rally Championship. Pushed to their limits by a rival team, the pair gained the lead halfway through the first day of competition. "It's always good to have a close fight. It brings out the best in you as a driver and as a whole team," said L'Estage. "Today I've been really happy with the stage times. The car took a beating and had no major problems after the first day, so it shows how good the work has been by the guys in the shop." 50th victory in L'Estage's career, and extends his lead in the championship standings. 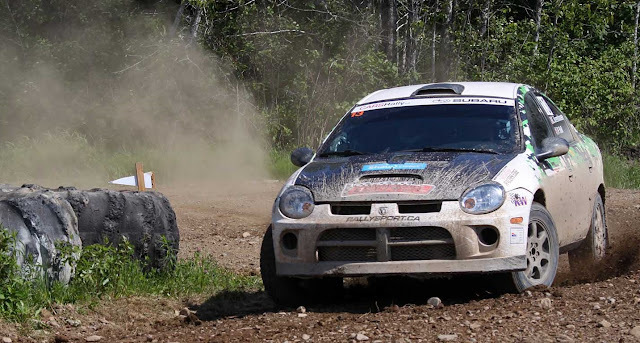 Joël Levac (Montreal) and Stephanie Lewis (Montreal) opened the rally with a blistering pace, winning two stages in the first leg of day one. 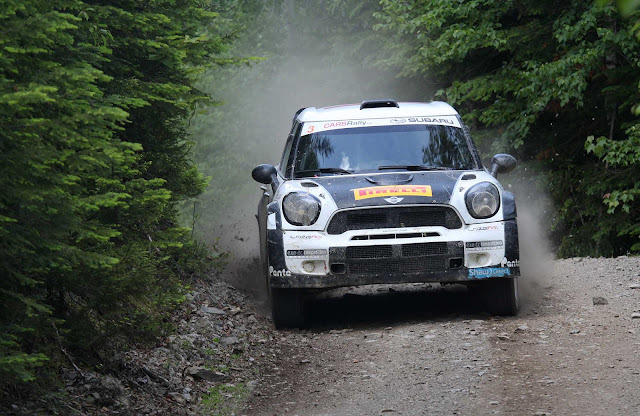 Driving a former World Rally Championship MINI Countryman new to the pair last season, they have focused on trying to learn how to make the most of the extremely capable car. The effort has clearly paid dividends, with the team being the only competition for L'Estage and Ockwell all weekend. "The weekend has been so much fun. The team has really worked well to improve our pace since we got the new car," said Levac. "You work hard and you never really know how you've done until you see the results at the end of the rally. Today feels like a big payday for us, and inspires us to push even more." 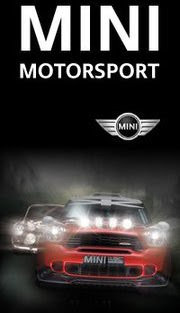 Levac and Lewis were forced to slow after driveline problems disabled part of the all wheel drive system in the MINI. Maxime Labrie (Montreal) and Anik Barette (Montreal) claimed third place. Starting the event, Labrie said his objective was to focus on finishing. In multiple rallies leading up to Baie-des-Chaleurs, the pair have had bad results and wanted to change that trend. The podium finish was cause for celebration for the pair who had rolled the car in a regional rally just a week before. "It's our second podium at Baie, and the first for my wife as a co-driver," said Labrie. "We're very happy with the result. There are places where we can improve; we had very good stages, but others that didn't go as well. We still have work to do to improve our pace." American Chris Greenhouse (Cincinnati, OH) also arrived at Rallye Baie-des-Chaleurs with a score to settle. 2014 marked the first year the driver had competed in Canada, and problems all weekend resulted in a DNF. Greenhouse came to the 2015 edition with the benefit of experience. Almost immediately, the American, co-driven by Phil Hall (Nottinghamshire, GB), took a strong lead in two wheel drive. Although the pair were beaten by rivals on some of the competitive stages, their overall score left them the clear class winners. "The score is settled, so I am really happy with how things have gone this year," said Greenhouse. "We finished in the top ten, but our focus was really to win two-wheel-drive to make up for the sins of the past. We came looking for redemption and we got it. Both Simon Dubé and Dave St-Pierre took time out of us on different stages, so credit to them for some great driving." 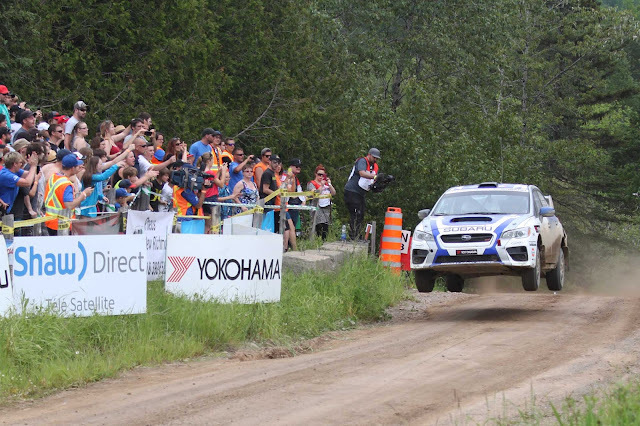 The Rallye Baie-des-Chaleurs is known for fanatical spectators who come out in the thousands to watch teams race on narrow, rough, and twisting roads in the forests of the Gaspé peninsula in eastern Quebec. Rallye Baie-des-Chaleurs featured more than 230km of stages split over two days of racing. As has become tradition, the event ended with the spectacular "Saut du 5" jump, where cars often fly more than 100 feet through the air. Organizers added the RPM spectator stage complete with an announcer and dj. The short and thrilling course allowed teams to demonstrate their driving ability in front of large, enthusiastic crowds.